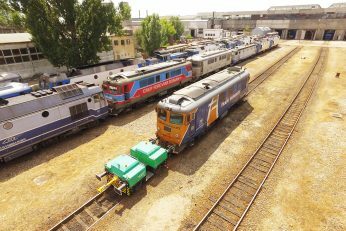 With an experience of more than 50 years in the production and development of rolling stock, Reloc – Electrouputere VFU has introduced a new innovative project on the global traction market. Under the BATRACK code, the locotractor electric shunting device was designed as an alternative to traditional locomotives. 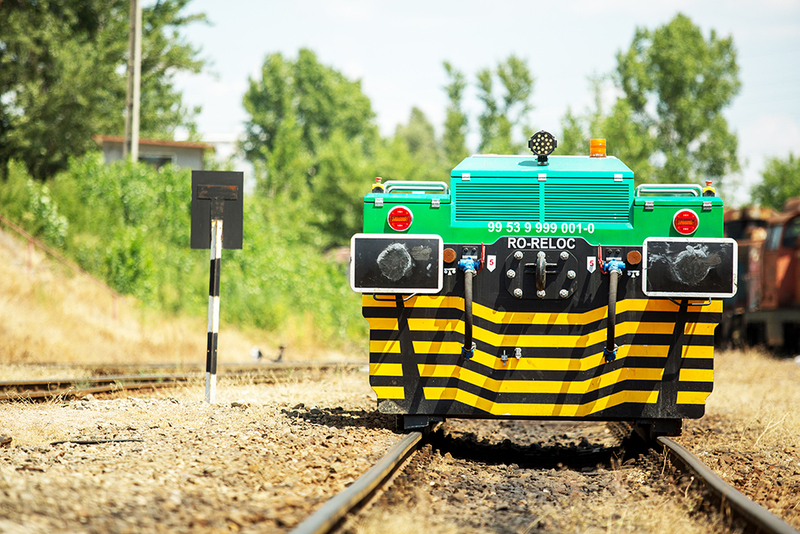 The locotractor developed in Craiova adapts perfectly to the needs of the users with access to the railway lines and can be used for the most complicated actions in depots, mines, ports, airports, steelworks, subway, triage, tramcars, etc. BATRACK is practically the most versatile shunting device in the world. It does not require a highly qualified operator, it is easy to carry, and the time for revisions is low. It is environmentally friendly, being completely non-polluting with zero CO2 emissions, noxious emissions and noise. Using batteries makes fossil fuel consumption zero! It is equipped with a high-performance remote control system, it can operate for at least 10 hours with fully charged batteries, the battery pack can be changed very quickly. It is equipped with a dual metal-metal and rubber-metal rolling system, which allows its wide use both on the railway and on the road, thus having a high adherence coefficient compared to conventional type adhesion Iron – iron. It has significant investment and operational costs due to reduced handling time, reduced energy consumption and the number of people used for coupling – uncoupling operations.